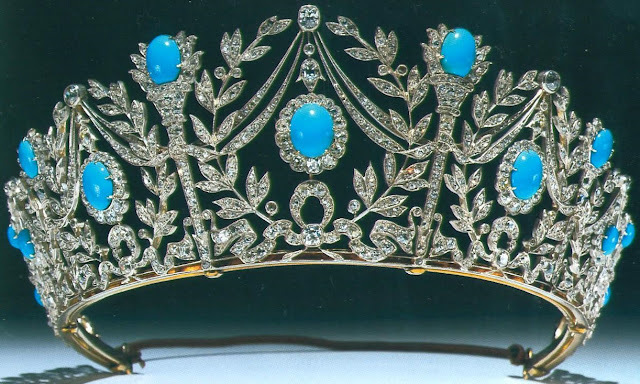 Creation: This tiara was made by Garrard circa 1900. 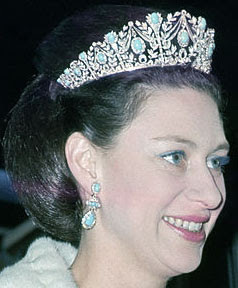 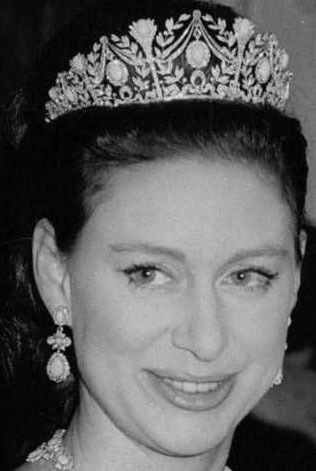 Queen Elizabeth had the top diamond border removed. Did this tiara belong to Queen Mary before she gave it to Queen Elizabeth? 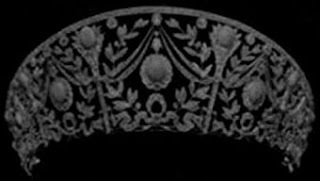 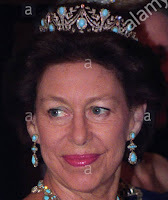 Was this tiara inherited by Princess Margaret's children in 2002 or did it return to the Queen's Collection like the Lotus Flower Tiara?